PHP is supposed to be one of the flexible programming languages and widely used in range of web applications, which include forums, auction websites, e-commerce, CRMs, blogs, solutions, and CMS websites. Are you looking out for a right programming language to order to develop a website?Surely, you will give more emphasis on the language flexibility, the ability to manage difficult tasks, support databases, and work on numerous platforms. In case you are new to the programming languages, it will be beneficial to sign up to one of the PHP training courses to find a good appreciation of the distinctive features and benefits of creating a website with the help of this language. These days, people are quickly adopting the newest and advanced technology in their personal and professional life. Open Source: An important reason for the recognition of PHP is that it is a well known open source language and completely free to use, share as well as download. At once, if you have able to set up a broad knowledge of the many commands offered with this programming language, you will be totally free to make a highly helpful and interactive web application. Simple to Use: If you are capable to keep in the first time and effort you will quickly discover that PHP is extremely easy to learn, use, and start up. As it is easy to use , the web development agencies give high preference to this platform. If you are doing website development for the first time, you can opt for PHP training courses that will surely help you in learning more about the expert and easy to use programming language. Portability: It is another good feature about PHP. It is able to work on either the Linux or windows servers. In case, you wish the more affordable solution, you will surely a wish to use the Linux servers as the zero licensing fees is linked with the servers. Support: If you are a fresher PHP developer, you will surely note down a wide range of resources for finding support which might comprise the e-commerce solutions such as Magento, OsCommerce, and Zen Cart; content management systems (CMS) like Drupal, Word Press, and Joomla, and various special devoted forums. Frameworks: in order to move faster, the procedure of developing the large size applications, many frameworks are offered for the PHP developer. A good performance and quality can be quickly attained with the help of the appropriate framework for a personalized web application such as Symfony, Codeigniter, Zend and CakePHP. Cost Efficient: It is well-known fact that PHP is free and open-source. Therefore, it decreases the complete development cost. In the way of cost-effective, there is no sacrifice with the standard and quality of an app. Better Security: PHP possesses a solid core as well as extremely safe development. In reality, web-based apps developed with the help of PHP are too much stable as well as secure. Working as an additional measure, developers can even add software which includes PHP-Intrusion Detection System (PHPIDS) in order to keep safe from outside third-party threats. 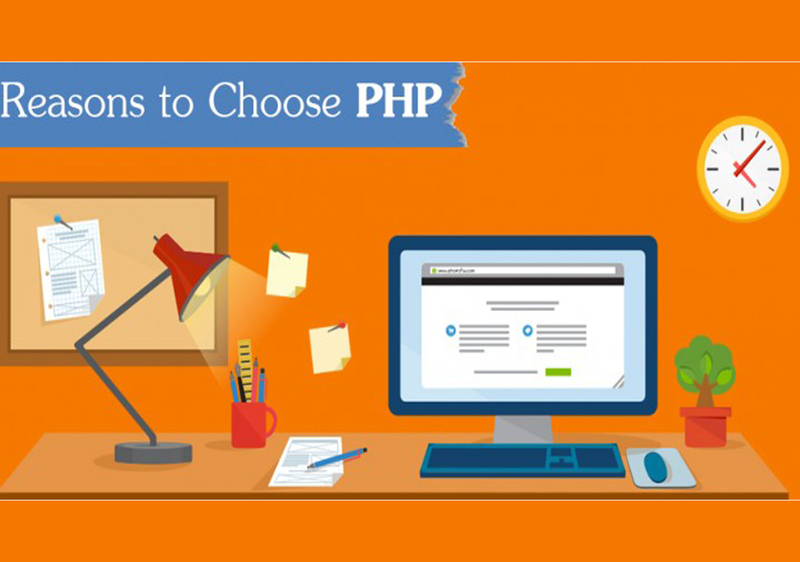 The unparalleled influence of PHP over web developers turns it a readily choice for web-based application development. Meanwhile, you shouldn’t make decisions just depends on facts and figures.On the whole, if you are looking for one of the more flexible choice for learning to code a web portal from scratch, you will surely welcome the several qualities of using PHP. Meanwhile, an expert advice is every time essential before investing money into web development.